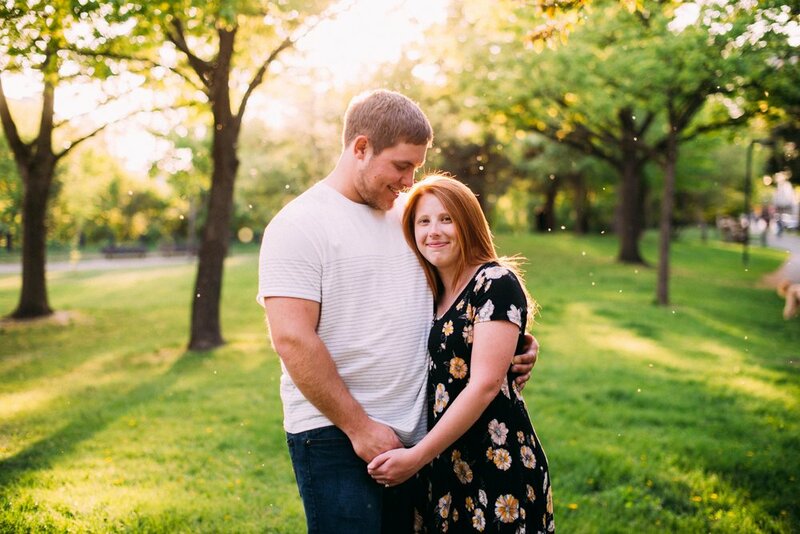 This spring we've really been hitting home some gorgeous engagement sessions - Megan & Zach's portraits included! It's always a pleasure to share some of our favorites from a session. While we were just at Stone Arch Bridge in Minneapolis not too long ago, we made sure to mix up a few locations for Megan & Zach's portraits! Stone Arch Bridge is one of the most iconic views you'll find in Minneapolis, which means it's a photography hotspot! We love going to a well-photographed location and making them unique for every session. We started our session with Megan & Zach down in the Mill Ruins, which always adds in some great architectural and urban tones to the session! 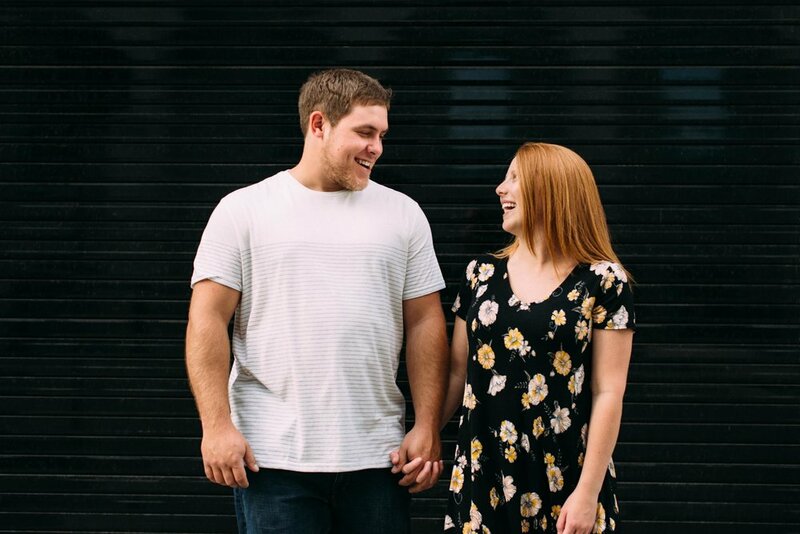 Megan & Zach are clearly SO in love and their photos demonstrate that so incredibly well. 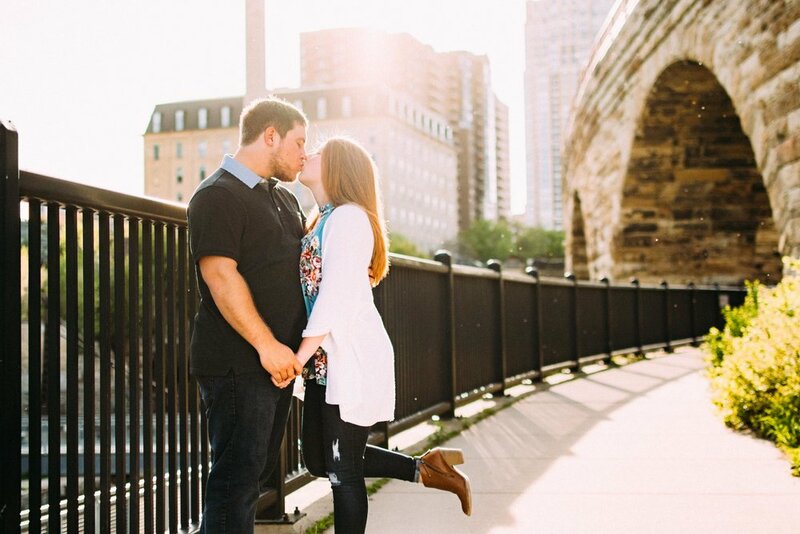 The pretty views around Minneapolis really highlight their excitement for their future together and for their upcoming wedding! By the end of our evening, the sun started peaking through the trees and buildings in all sorts of beautiful ways! Have we mentioned how obsessed we are with golden hour portraits?! Megan & Zach, we loved our time exploring with you! We're excited to capture your big day this August!